There’s no “aging out” at TI-JCC! 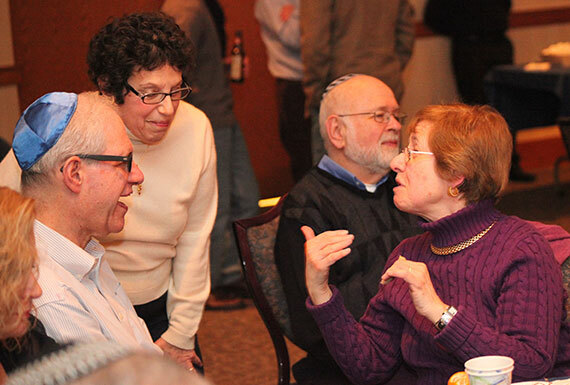 Active seniors may participate in Hazak, a social group that generally meets monthly, on the second Wednesday, for lunch and programs of interest they plan together. Among these have been movies, informal discussions on timely topics and presentations by storytellers and other speakers with expertise in a field, often drawn from the ranks of the group or the congregation. This is a welcoming, friendly bunch, always looking to expand its numbers. Meeting dates are posted on the calendar, so be sure to check the website and drop in any time!